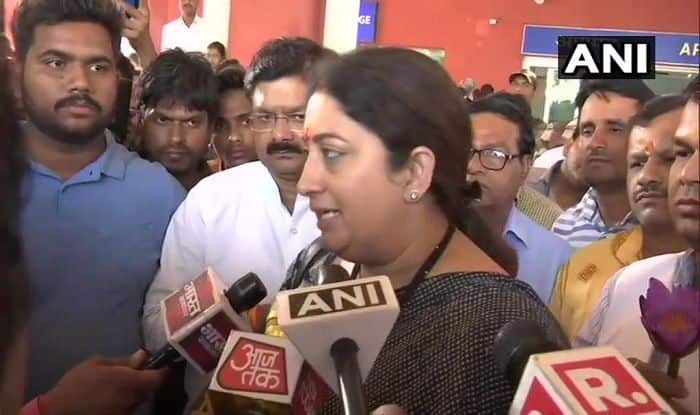 Union minister Smriti Irani on Thursday attacked Congress president Rahul Gandhi's contest from Wayanad in Kerala. Smriti Irani is BJP’s candidate fighting the Lok Sabha contest against Rahul Gandhi from the famed Congress bastion of Amethi. She had contested the 2014 elections also from Amethi but lost to Gandhi by a mere margin of over one lakh votes. Meanwhile, Rahul Gandhi is set to hold a two-hour roadshow in Wayanad on Thursday ahead of his nomination filing from the constituency. The party president will contest the Lok Sabha elections from both Wayanad in Kerala and Amethi in Uttar Pradesh. A senior BJP leader said that Irani will address a public meeting in Salon assembly constituency area. It is for the first time that Irani will be campaigning in the high-profile constituency after the schedule of the polls were announced.